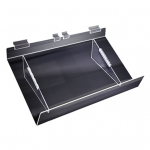 Bulk Purchase Deals & Best Discounts! 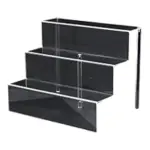 Black gondola shelving is great for showcasing merchandise and can give your retail store a cool feel while keeping an assortment of products well organised. 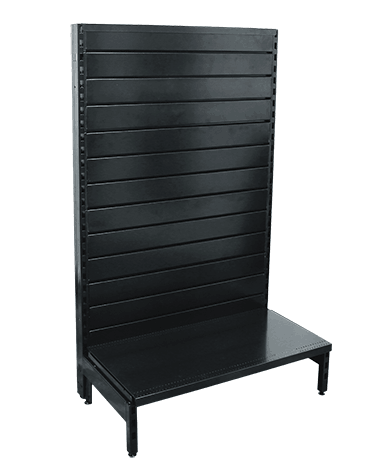 The black metal slatwall panel gondola units are popular with many modern stores. 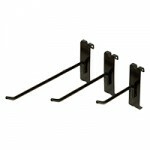 They are flexible, mobile and add a prominent distinction to catch the eye of passers-by who are window shopping. 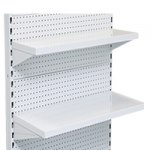 Slatwall shelving can be used with all kinds of accessories including metal hooks, display bins, glass shelving and acrylic display accessories, meaning that you have the freedom to design whatever type of shop display you want. 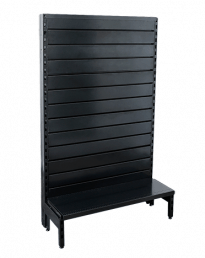 What is black metal slatwall panel gondola shelving? 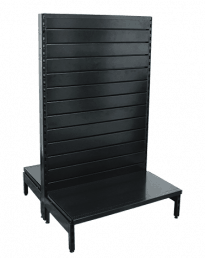 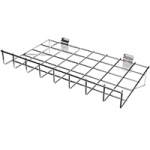 This gondola shelving model is a black metal retail shelving system that can be placed anywhere on the shop floor available in a vast range of configurations which vary in width, depth and height. 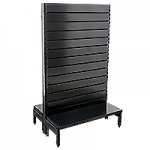 The jet black powder-coated metal shelving wall contains horizontal slat panels with grooves at 100mm increments in between each one which can be fitted with brackets and accessories. 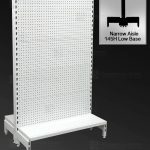 Slatwall is incredibly easy to use. 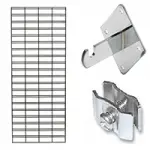 No drilling or screwing anything into the panels. 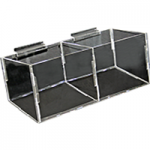 You slide everything in and out of position as the system is made up of various components which interlock together creating a durable structure built to take heavy loads, which can be used for bulkier items. 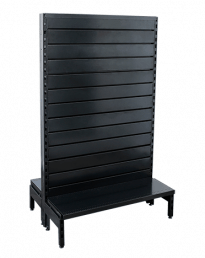 Where can black metal slatwall panel gondola display units be used? 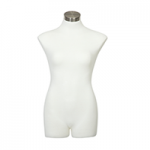 Clothes stores – especially in fashion stores. 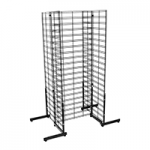 Goods can be hung using waterfalls and fatceouts, while other items can be folded and displayed on individual shelves or stands. 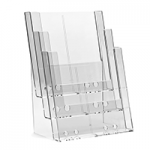 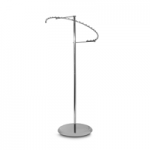 Computer or mobile phone stores – can make good use of acrylic display stands to showcase iPads or mobile phones, while packaged goods can be displayed on hang sell. 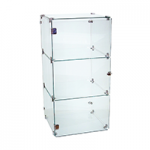 Shoe stores – shoes, trainers and sandals can be neatly displayed using individual acrylic shoe stands. 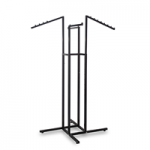 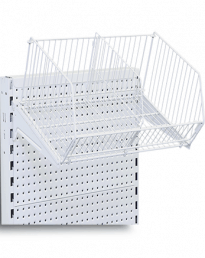 DIY or gardening stores – can use accessories such as hooks for hang sell and display bins for awkward or small loose items, while the units can also handle larger, bulkier products. 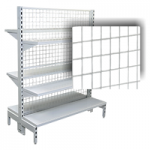 Chemist warehouses – with almost all medicines, vitamins, skin care products and a lengthy list of other items you can expect on chemist shelves presented in white packaging on black shelving is a well suited merchandising solution. 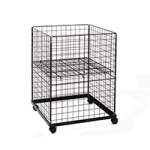 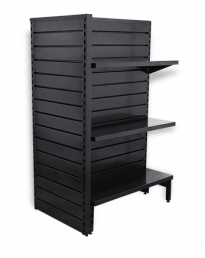 What are the benefits of black metal slatwall panel gondola shelving? 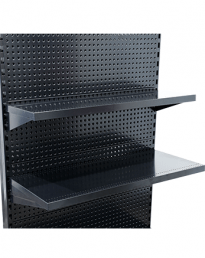 It looks great – the black retail shelving adds a very distinct look to any layout, does a great job of showcasing products and keeps the shop premises looking clean. 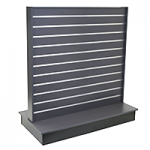 It’s flexible – whether you want to stack large quantities of goods on rows of conventional shelves or arrange a creative window display utilising accessories, this shelving can deliver. 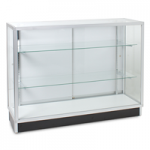 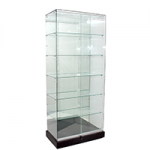 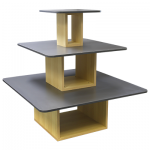 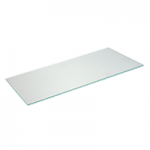 It’s durable – these display units will last a long time if looked after and can withstand regular movement and changing of shelves and accessories without damage. 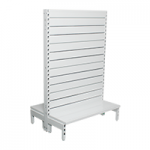 Single-sided units – available with 450mm base or 300mm narrow aisle and in a selection of different heights. 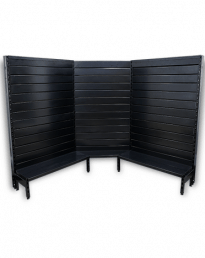 Double-sided units – similar to single-sided models but with panels and bases on both sides, making them suitable for aisle display. 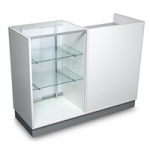 Inside Corner bay units – smaller units that can link two standard units to form an L-shaped display in the corner of a store. 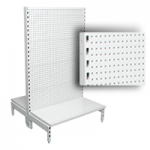 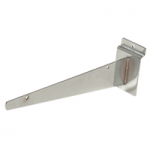 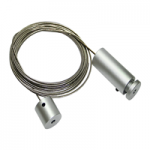 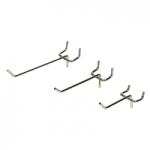 End bay units – units that fit on the end of standard units to create a T-shape. 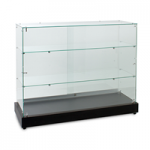 Useful for additional or special displays. 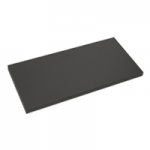 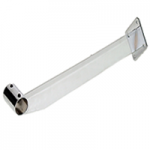 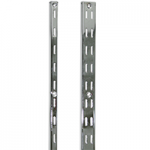 Available in 630mm and 930mm widths and various heights. 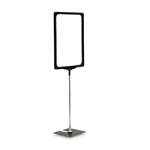 Gondola display ends – Perfect for heavy traffic areas as an impact display for specials and promotions. 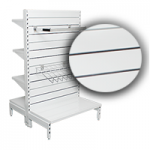 Call us on (02) 9608 5122 or email sales@shopfittingdirect.com.au to discuss your shop fitting requirements. 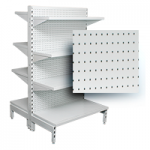 We specialise in all modern shop fitting and shelving solutions and can deliver across Australia. 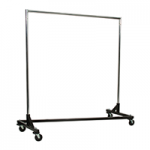 Search for the shop fitting items and accessories you are looking for and simply add these to your quote cart. Submit ‘Get a Quote’ list to us to get an obligation free quote. 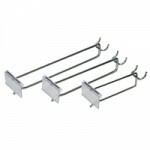 Receive quote by email. 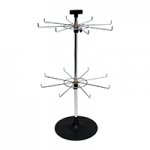 Simply accept, reject request or modify quote. 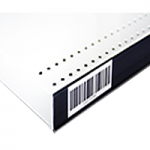 Order and pay final amount quoted in one go. 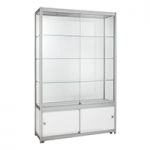 “I just wanted to say thank you for the great service you and your staff recently provided for me when I ordered my second cabinet from Shop Fittings Direct. 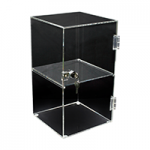 The process was painless and the delivery went well without a hitch. 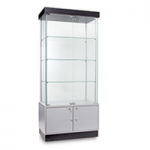 The cabinets look great together and I have now installed lighting in them which makes them look even better. 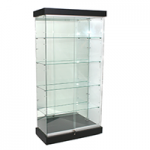 “Thanks for the great service and support. 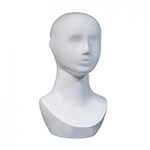 Dealing with you made this process so easy. 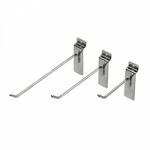 We got great products at a great prices with fantastic service.